Highly mobile, cost effective solutions to simplify productivity. For an increasing number of Small to Medium Businesses (SMBs) there is the need to make the move into the cloud because of the undeniable benefits that it brings. It is especially valuable for businesses who have small IT departments that are overworked trying to keep other key systems running. For SMBs like this the continuous uptime and subscription based pricing make for a predictable and manageable budgetary expenditure. Who cares about the cloud? Base on studies done by the leading SMB accounting software company, Intuit, about 37% of United States SMBs are already using the cloud to help run their business with that number expected to climb to 78% by 2020. 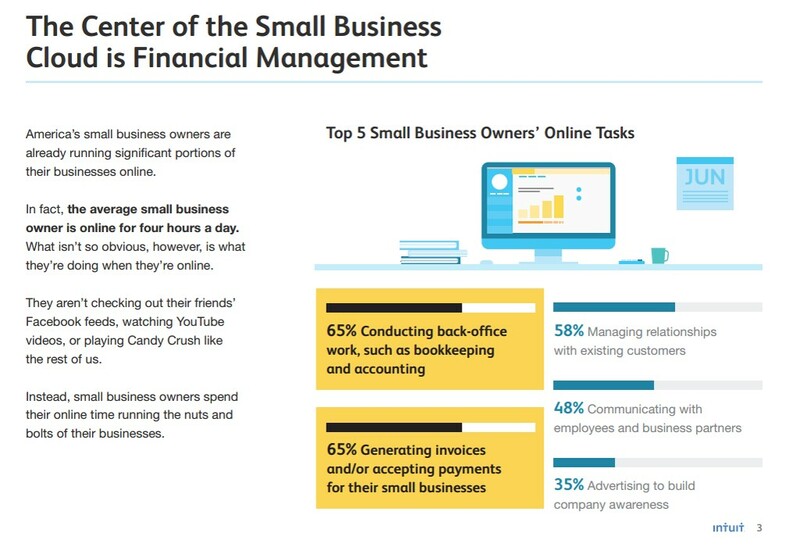 These businesses are mostly using their clouds for back office work and receiving payments. Plus an amazing 43% of SMB owners are using smartphones as their primary device for conducting business. What is in the cloud? 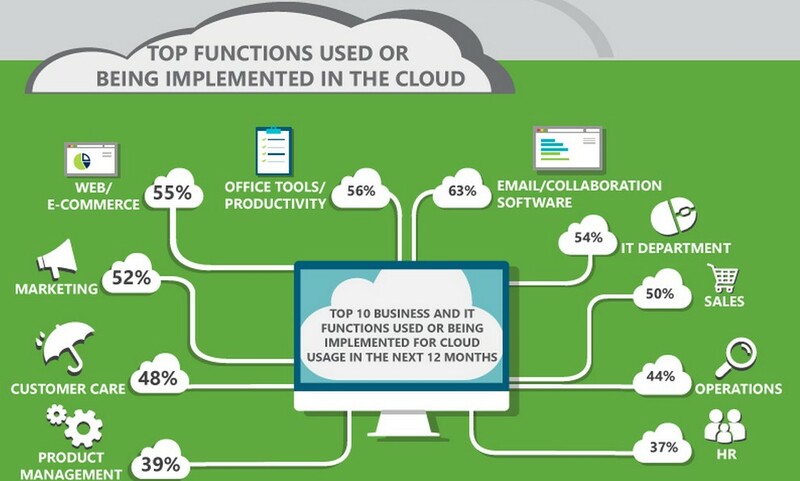 Nearly every part of the SMB computing space is moving into the cloud including many Line-of-Business (LOB) applications. E-mail/collaboration software (63%) like Microsoft Office 365 or G-Suite, Website/e-commerce hosting (55%) like GoDaddy Web Store, IT Department infrastructure (54%) like server hosting or virtual desktops on Microsoft Azure & Amazon AWS, back office tools & productivity tools (56%) like Quickbooks Online are the four most common cloud apps SMBs are planning to adopt next 12 months. This is not surprising as SMBs see the need for lowering and fixing the cost of business, gaining remote accessibility, securing data storage, and creating affordability versus the costs of on-site hardware, scalability, and compliance. There are endless possibilities in the cloud including Customer Relations Management (CRM) software, IT service/support, online backup, file sync & share storage, unified communications (comprising web conferencing, phone systems, and chat services) and managed security services. Farmhouse networking has expert level experience in migrating companies to the cloud and are users of many of these same services ourselves. Please contact us today to discuss the possibilities for your company as you reach for the clouds. The Windows network drive is a convenient location for file sharing within your network. Unfortunately, accessing these files from remote locations, such as the airport, home office or train, is nearly impossible without an internet connection and then, often possible only through a VPN connection.